Buy online our clothing and fashion fabric Pizzo Macramè 003. Macramé lace fabric with a floral pattern in a bright, intense and decisive orange colour. The sustained hand and shade lend themselves to the creation of cocktail dresses, ceremonies and dusters. 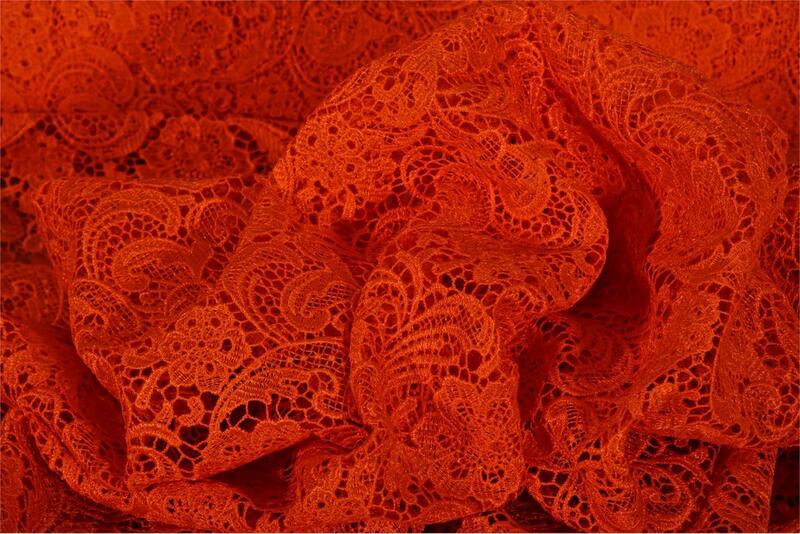 Orange Polyester Laces/Embroidery fabric for Ceremony dress, Light Coat.